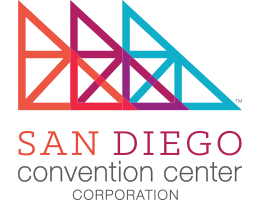 A total of $1.1 billion in regional impact was generated into the San Diego economy as a direct result of conventions, meeting and events held at your San Diego Convention Center from July 1, 2017 through June 30, 2018. The Convention Center’s Fiscal Year 2018 annual report is out, and shows that the venue is delivering on its purpose: to serve as the region’s premier gathering place, hosting conventions, trade shows and community events that economically benefit the City of San Diego and advances our convention and tourism industry. A total of 785,460 attendees contributed $651 million in direct spending as a result of the 133 events that were held at the Convention Center. A total of $24.7 million in hotel and sales tax revenues were generated directly benefiting the City of San Diego’s general fund. Of the total 133 events, 13 were medical meetings, the core business of the Convention Center. Seven of those meetings landed in the year’s top 10 economic generators. Comic-Con International sits at the top of the list, contributing $147 million alone over the four days it was hosted during FY18. Rippetoe likes to say that each week we build – or help facilitate the building of – “small cities” for the most important week of our customer’s year. Visitors come to our destination to learn, connect and create, then they take their tourism dollars out into the destination. “The more tourists we have in San Diego, the more sales tax and tourism occupancy tax dollars are generated, which benefit our city and our region,” Rippetoe said.